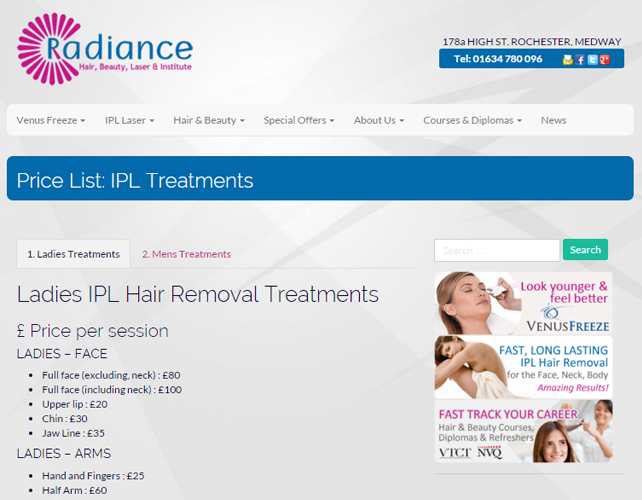 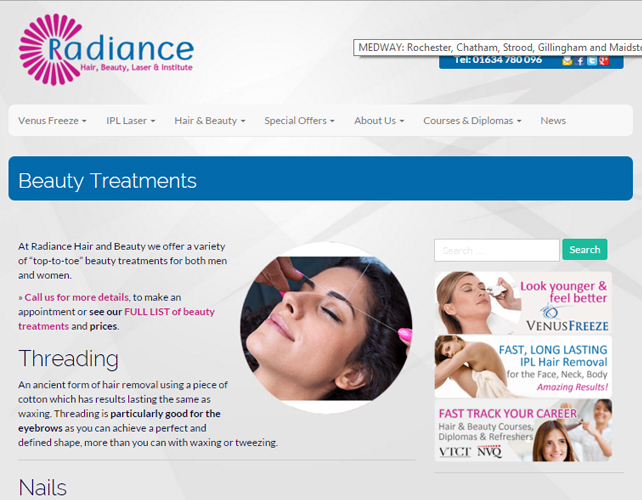 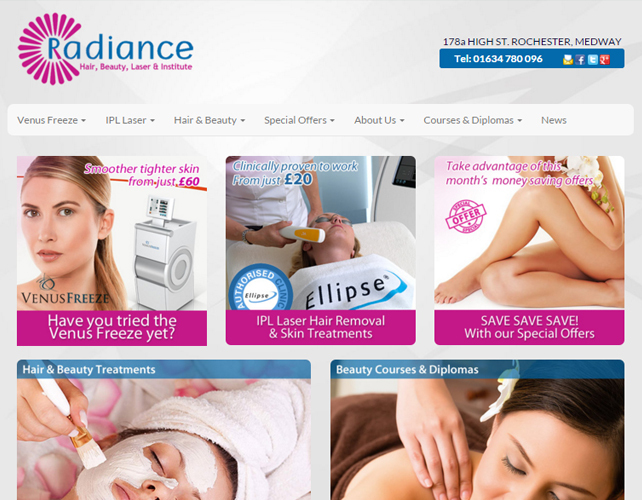 Radiance Hair and Beauty is a renowned beauty salon based out of Rochester, Medway. 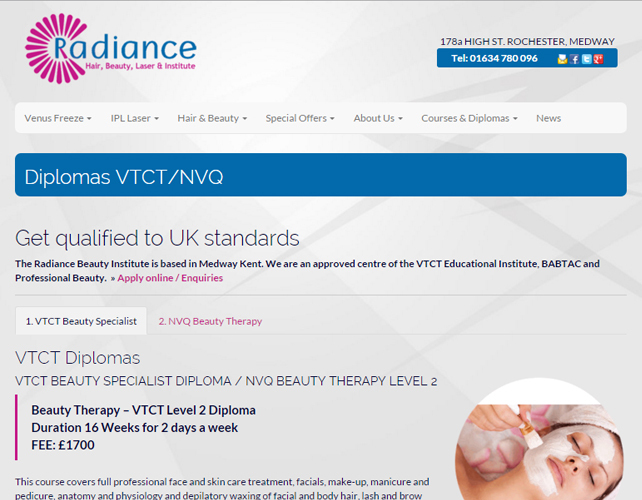 Their services cover Rochester, Chatham, Strood, Gillingham and Maidstone area.Their professionally qualified beauty therapists and hair stylists work really hard to pamper you and make sure that you enjoy each and every beauty treatment with them. 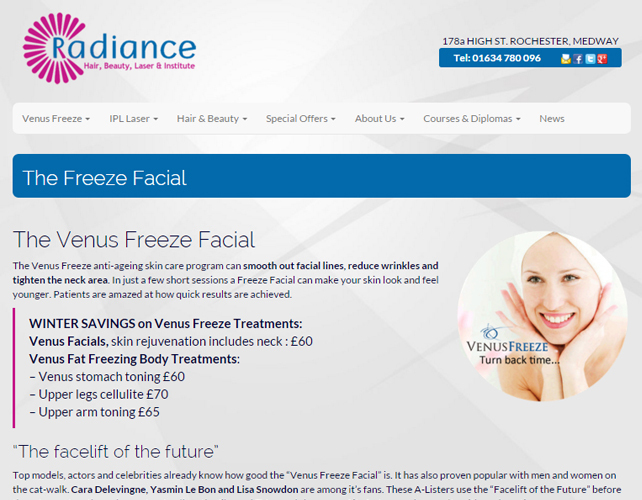 They offer a wide variety of services; such as deep cleansing facials, massage, waxing, threading, IPL hair removal laser treatments, hair styling and new Venus freeze anti-ageing treatments.